Rock-solid support for your keyboard. 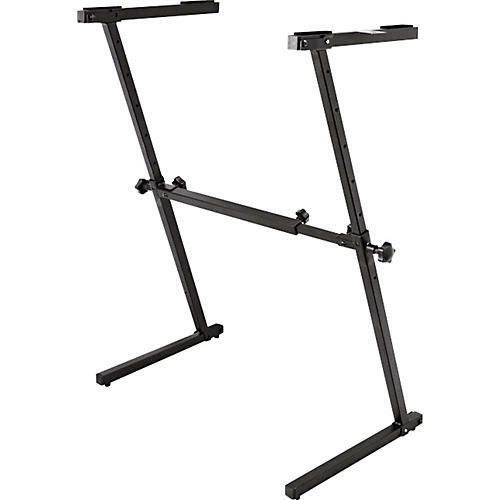 If you're a keyboard player who requires extra support for your energetic performances, you'll get rock-solid reliability in the PKBZ1 Z-style keyboard stand from Yamaha. The width and height adjustments on the versatile PKBZ1 are independent of each other, providing improved stability over a single-braced X-style stand. It's recommended for Yamaha PSR, PSR-E, DJX, and EZ series keyboards. Animated performer? This Z-style stand takes the worry out of knocking over your keyboard. Width adjustable from 19.75" to 35"